As we prepare for a new year with new possibilities, we wanted to share 8 great ways a tiny house might benefit you or someone you know! You can enjoy a quality dwelling with the luxuries, comforts and mod cons at a greatly reduced cost. Be mortgage free in 5 years or less and greatly lessen or eliminate bills by going for the off-grid options. We can help with finance. With reduced financial pressure & bills you open up possibilities to pursue worthwhile & enriching interests, relationships & lifestyle patterns. Chase the things you value, the things that make you happy and healthy by choosing a non-burdensome housing option. Because they're built on wheels, in many cases tiny houses don't require any council approval or if they do it can be a simplified process. See here for more info. This means you can have a tiny house built, wheeled into place & ready to go in just a few months! Add a beautiful living space to your backyard without all the hassle & cost of traditional council processes! Tiny Houses promote sustainable, low carbon footprint, eco-friendly living without sacrificing quality, beauty or functionality. Need a change of scenery? Take your home with you! Need some guest accommodation or want to make some extra pocket money? Use a tiny house for Air B&B or many other accommodation options that can help you along financially. Less space means less stuff, less clutter, less mental load, less to clean. A Tiny House can reduce your living costs while you pursue working toward something else. These cute little homes sure have a lot going for them and are swiftly gaining interest and credibility, even with local councils (as we recently experienced by the positive feedback we received from our local council members). 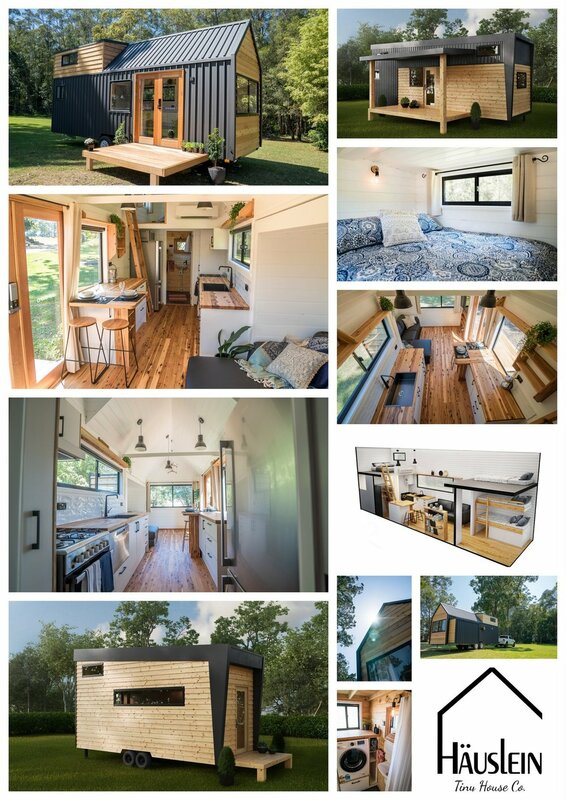 If you're thinking about a tiny house, we'd love to answer your questions & make the process of becoming an owner of your own tiny house as simple as possible! Get in touch to chat further!